Yellowstone was one of those brands that I just did not see around my parts for quite a while, despite hearing good things about it. Then one day, I look at the bottom shelf of one of my regular liquor stores, and there was one lonely bottle sitting there. So, I made the decision to give it a good home. 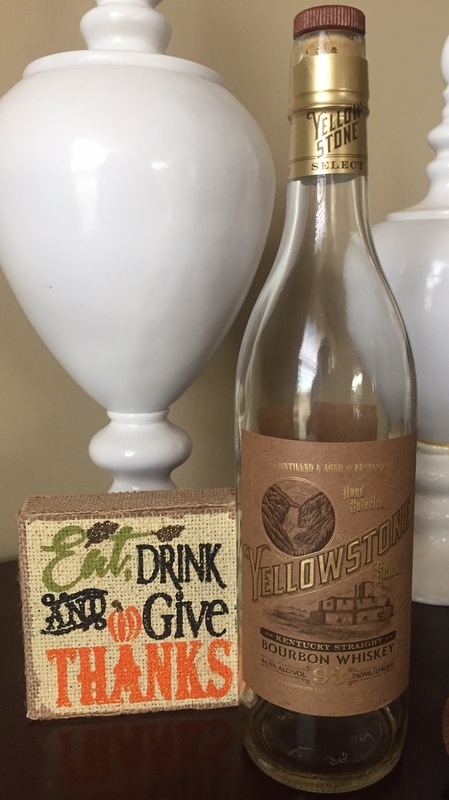 Since that time, Yellowstone has been making regular appearances on my liquor store shelves, but I wasn't taking the chance that that wouldn't be the case. Upon popping the cork I couldn't help but notice just how damn good the nose is on this one. As far as the way a whiskey smells, this one ranks probably in my top three of all time, it's that good! The nose is smooth and full of caramel, reminding me of Werther's Originals, perfectly mixed with vanilla bean and sweet tobacco leaf. Seriously, if Yellowstone packaged this as a candle, I'd buy a case. Unfortunately I found the taste to be relatively simple, though, which after enjoying the nose as much as I did, was a bit of a let down. It's very one dimensional, having the traditional vanilla and caramel bourbon notes, but in a watered-down format. It really lacked any boldness or complexity. A few pours in I began to notice hints of other flavors, including cherry and cinnamon, mixing with the caramel tone on the back end. The most noteworthy flavor, though, and the only thing that really sets this bourbon apart from Jim Beam White Label, for example, is it also had a distinct malted barley flavor, almost as though it were finished in Scotch whiskey barrels. It had that light, earthy flavor I traditionally associate with Scotch, the flavor that really sets Scotch apart from bourbon. It was at least interesting in this respect. In the end, though, regardless of the nose, I found this bourbon to be pretty one-dimensional. It compares to many base-line bourbons of the big brands, such as the aforementioned White Label, perhaps slightly better. Yet, it commands a much higher price that, in the end, is likely going to make me stay away in the future.